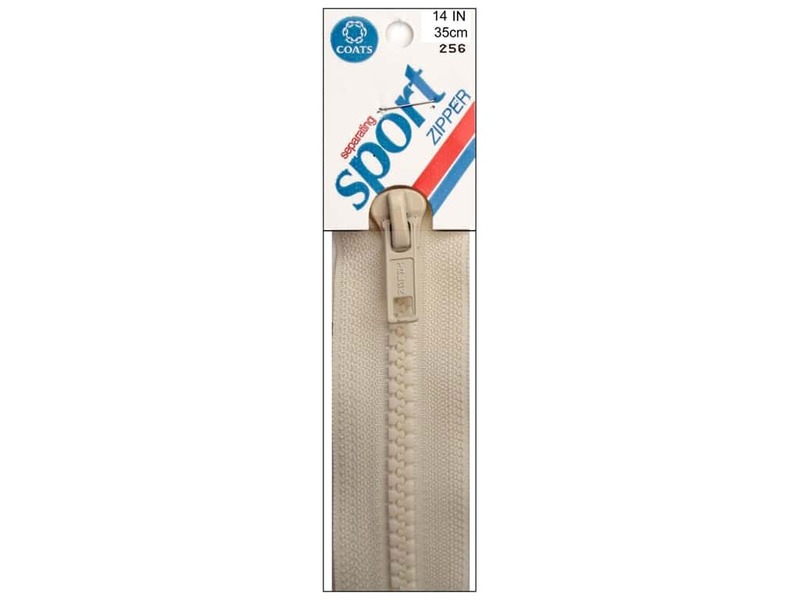 Description: Coats & Clark Separating Sport Zippers are perfect to use in jackets, sweaters, vests, polar fleece, crafts and more. The chunky, molded polyester teeth are lightweight, yet strong and durable, and will not freeze or corrode. 100% polyester tape. 14 inch. Natural. See more Coats Separating Sport Zipper 14 in..